Central Women’s Health Care is a gynecology and obstetrics practice with central and southwest locations in San Antonio. We have earned a reputation for providing kind, personalized care that is focused on each woman’s unique body, mind and spirit. In other words, we see you as you, not a set of symptoms. Our bi-lingual physicians and staff create a caring, welcoming environment for women at all stages of life. We are committed to your care. We promise respect, attention to your concerns, compassion, skilled medical diagnosis and treatment, and clear communication. 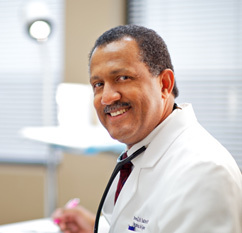 We have a wonderfully diverse, experienced and technically adept team of physicians. They love what they do and that dedication is evident in the warmth, skill and knowledge they bring to each interaction with patients. From the moment you walk in, a member of our friendly, bilingual staff will make you welcome and get your appointment underway. We are here to help you with scheduling, insurance, medical forms and financial matters. We’re here to answer your questions, make appointments and help you with directions to our two locations. Just give us a call! From I 35, exit Military, turn away from South Park Mall, (go past the old office) turn right on Commercial, our office is on the the left side. Send us your baby photos and we will post them on the site! © 2019. Central Women's Health Care. Site Design by Parscale Digital.